The chairmen of the 22 local government areas of Rivers State have warned Governor Nyesom Wike against dissolving the councils or face dire consequences. The council chairmen were elected on the platform of the All Progressives Congress (APC) in an election conducted on May 23. The election was boycotted by the state chapter of the Peoples Democratic Party (PDP) which had gone to court challenging the propriety of the state Independent Electoral Commission (RISIEC) to conduct the election. The dissolution of RISIEC by the governor, on Monday, may have propelled the action of the council chairmen. Also, the governor had, shortly before his inauguration, vowed to look into the election, especially the N4.5 billion allegedly spent on the conduct of the exercise. The chairmen, under the aegis of the Association of Local Government of Nigeria (ALGON), Rivers State chapter, raised the alarm that such plan would plunge the state into further crisis. They, therefore, warned the governor to respect the laws establishing local governments in the country by refraining from the planned dissolution of the councils. Legal Adviser of state ALGON and chairman, Degema Local Government Area, Sogbeye Eli, said he and his colleagues were duly elected, adding that neither the governor nor the state legislature had the right to terminate their tenure. Addressing newsmen in Port Harcourt, Eli said ALGON position statement was expedient because of the looming crisis the alleged planned dissolution would cause in the state, adding that the association would resist by legal means “any form of impunity in the state. "It is important the nation is put on red alert. If we are going to die, let us die. 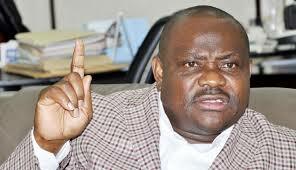 We will not hesitate to resist this act of impunity by the government of Chief Nyesom Wike." He alleged that the decision taken by the House of Assembly and the governor to dissolve the Rivers State Judicial Service Commission (RSJSC) and RISIEC were purely political vendetta. He therefore advised the government to respect court process and concentrate on developmental projects, stressing that the state needed peace to develop and not avoidable violence. In another development, hundreds of APC supporters stormed the state House of Assembly complex in Port Harcourt, on Thursday, in a protest against any attempt to remove the council chairmen from office. The placard-carrying protesters were tear-gassed by armed policemen around the Assembly complex, but they resisted the police and went ahead with the protest to register their grievances.